Mr. Aleksander Skołożyński started to work at Emitel in 2012 as Head of Controlling. Aleksander is an experienced executive with significant experience in finance, controlling, treasury, M&A and commercial finance, with a focus on the TMT sector. 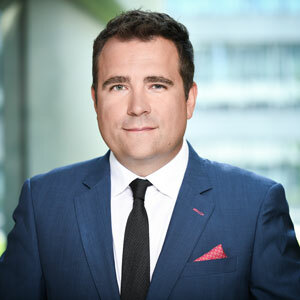 Prior to joining EmiTel, he worked in the investment banking sector for Lasanoz Finance and Concordia Espirito Santo Investment, managing M&A and financing projects for Polish and multinational companies. He graduated from the Warsaw School of Economics and also holds a Master in International Management from CEMS, which encompasses such business schools like the London School of Economics and Political Science or HEC Paris.